Weeks ago, I downloaded Unity3D. I began looking around for games made with Unity3D in hopes of making my own game, and one title I came across was called "Man or Monster." I wanted to blog about this game because it was interesting. I think this is the first-ever Flash-based game I reviewed on John's Blog Space. I will tell you more about this game and what I think about it for your viewing (and perhaps playing) pleasure. 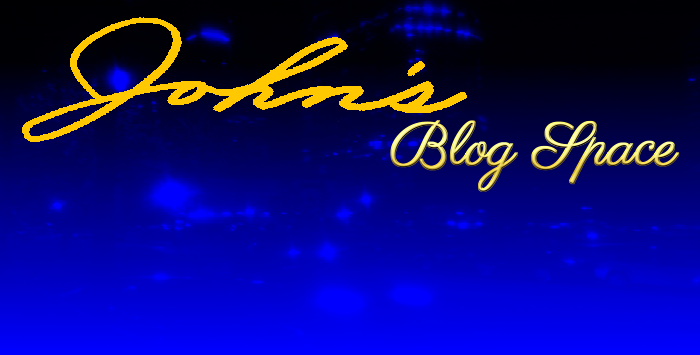 Positively wasting your time since January 2009, welcome to John's Blog Space! ^ from: (Miniclip on Google+) - Man or Monster. Save the city (man) or destroy the city (monster). Man or Monster: General Info. Some of the world's largest cities are under attack by huge monsters! One determined man is ready to combat these massive monsters in an attempt to save the world. Can you save the world's largest cities from absolute destruction? Or can you completely destroy these cities? Obstacles impact you no matter whether you choose to be the Man or the Monster. No matter whether you play as the Man or the Monster, a lot of resources are available to you to aid you in accomplishing your task. This game features ten cities for which you can either save or destroy. Saving or destroying one city allows you to access the next one. Can you save/destroy all ten cities? You are able to purchase items to help you out in the task of saving or destroying the cities before the start of each level. This game uses both the keyboard and the mouse. The mouse is used for attacking and selecting items as well as aiming. To help you in getting you ready for this gaming experience, let me tell you about taking on both tasks of being the Man or the Monster. The Man you play is credited with the task of saving the city from the huge monsters. You are equipped with a blaster and a jetpack. You also have a number of different units you can deploy to aid you in taking down monsters. As the man, you have resource units available to you to use against the monsters such as tanks, helicopters, mines, and more. Completing missions allow you to access bigger and better units to use in battle. The man himself can even be upgraded to have more health, a more powerful weapon, and more jetpack power. You have a limited amount of time to prepare your units in advance of the monster coming into the level. The monster will spawn where you see red smoke off in the distance. It is a good strategy to drop some of your better units near landmarks. You obviously don't want the monster to destroy the entire city, but you certainly know landmarks are usually some of the first structures the monster wants to destroy. Keep a fair distance from the monster and keep attacking both with your gun and with your units. Be careful with some monsters because they have certain abilities and powers that make them temporarily immune to damage. You may find item boxes across the city. Shoot them to receive powerups and other items. As the monster tears apart the city, civilians will be running around the city. Rescue as many civilians as possible for cash bonuses. • You defeat the monster using your weapons and units. • You are defeated by the monster. • The entire city is destroyed. That covers the Man. Now, on to the Monster. As the monster, your job is to destroy the cities you land in. Despite this task, you will be faced with many different units spread across the city trying to make it difficult for you to destroy each city. Everything from tanks to helicopters and more will make your destruction attempts difficult. Good news is that you won't have to worry about a little man with a blaster gun running around town trying to take you down. As the monster, you can not only pick what special powers you want to use, but you can also select different monsters to use for each level. You can even customize your monster. Take advantage of these special powers to help make your destroying tendencies stronger and more satisfying. You may receive certain items after destroying certain buildings. Collect these items to keep that edge you have in destroying the cities. Rather than set up everything beforehand, you're dropped right into the city, ready to destroy everything in sight. When the game starts, don't hesitate to immediately wipe out the various buildings in sight. Try to take out the buildings as well as any units that may get nosy. When a building is destroyed, you move that extra step closer to winning the level as a monster. Eating some of the civilians earns you bonus credits. Basic attacks and special attacks are key to try to complete the task of destroying each city. • You destroy every building in the city. • You are defeated by the various units around the city. That covers some of the basics. Now on to some general thoughts of mine on this game. I found "Man or Monster" surprisingly addictive. The game is in no way frustrating. Battles can be quite intense. You rely mostly on instinct, but you do have to think about deploying certain units at certain times as the Man and also knowing when to use your special attacks as the Monster. I kind of found it easier to be the Monster rather than being the Man. Then again, how many games are there that seem harder when you're the VILLAIN instead of the HERO? The game has great-looking voxel graphics. Everything from the cities themselves to the destruction is done pretty well. The massive monsters look impressive. 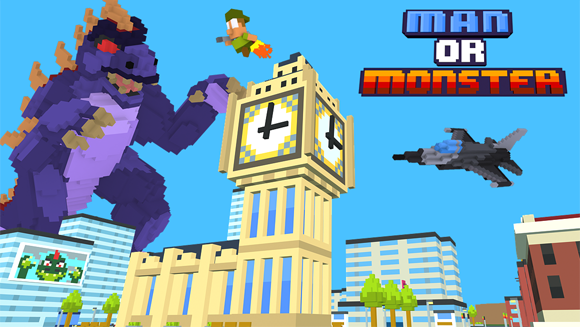 The voxels make for a great retro-style experience, and it is an overall great-looking game. There is some pretty cool retro-style music as well. There isn't much to complain about in my view. If you just want a great gaming experience from a browser-based game, check out "Man or Monster." I don't think you'll be disappointed with the action this game provides. To learn more about Miniclip and their games, visit www.miniclip.com. This is a game I thought was pretty fun. What do you think about this game if you played it? Feel free to share your thoughts here. Have a great day/night. Thank you for reading!